‘A picture is worth a thousand words.’ A cliché and for good reason. Because it’s true. With today’s technology, instead of a picture being worth 1000 words, you can add that a screen cast can be worth many hours of tutoring. Which leads us to today’s review, Voila from SoftwareCasa. 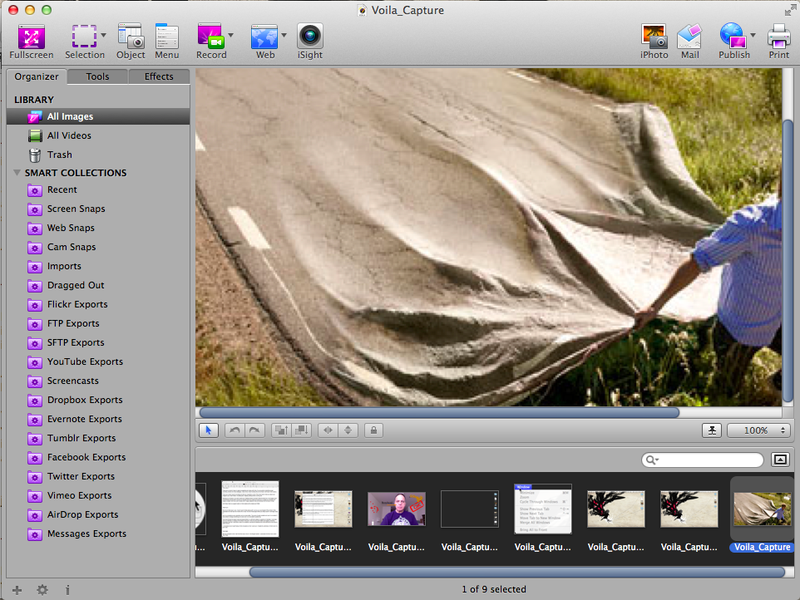 “Voila is a great screen recording and image capturing tool for your Mac, developed to enhance your productivity/creativity. It allows you to capture anything or everything on your desktop, from your iSight camera or you could snap a whole webpage as well. 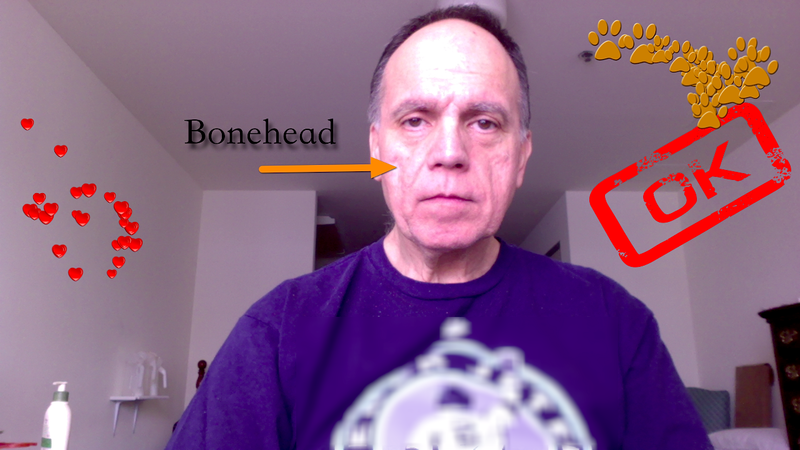 You can then easily annotate the image with variety of editing tools and share the images instantly. I don’t normally use such software but I want to see if maybe there’s a way that it could be incorporated into my workflow. There are a myriad of ways to capture snapshots and videos with Voila. You can perform simplified screen recording, browse and snap webpages,, snap menus, import existing files and at least a half dozen other actions. 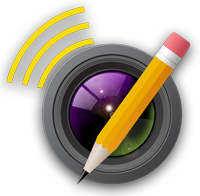 There are a dozen ways to annotate and edit your snapshots, as well. Plus many tools to help you adjust your images to your exact needs, via adding text, cropping, adding arrows, blurring, etc. Sharing is a no-brainer. You want to send your finished product via email? Press the Mail icon in the header and it automatically launches Mail, formats the message with your image and awaits you to assign the recipients and supply a subject. And if you wish to share with a larger audience, there are shortcuts from AirDrop to Vimeo. And finally, there is a support center on their website with contacts and FAQS. Not only is Voila easy to use, I found myself initially playing with it just as you would Apple’s Phone Booth. What impressed me most was how intuitive the UI was. It’s one of those apps where you simply launch it and begin using it. All of my annotations were selectable and non-destructible. They were all easily scalable and could be revisited if I had wished to change something as my text color or an annotation’s positioning. Voila has followed the Apple model and placed folders in a left-hand sidebar to organize all materials. I could also view my materials in a display at the bottom of the pane. There are also smart folders and tagging. 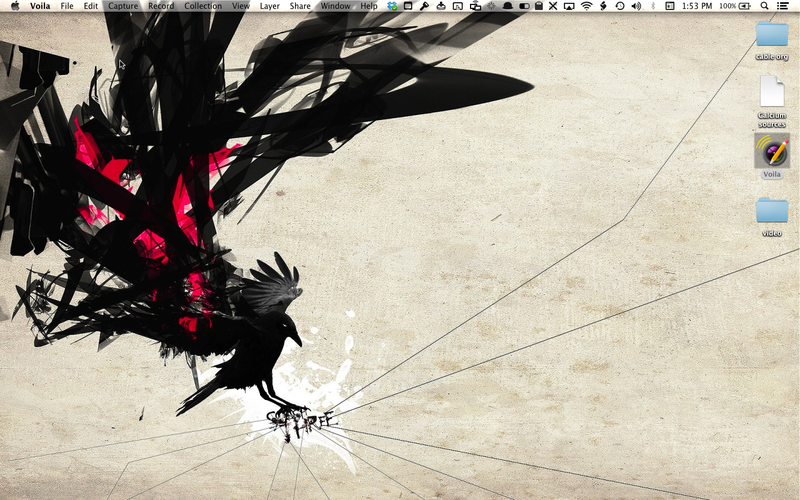 Extremely impressive was that I could take a snap of my desktop, removing the desktop photo while leaving the icons atop an alpha channel. I immediately found myself trying to think of projects so that I could use it. Despite its usefulness, it’s that much of a joy to use. My lone complaint is that I wish that there was a forum in the Support section. I personally find them more useful than FAQs. The $28.95 cost is reasonable in light of how easy it is to use. You could literally launch this and incorporate it into your workflow without skipping a beat. (There’s also an $18.00 upgrade to v3.4. Most definitely a handy tool. And the fact that it really is a delight to use, seals the deal. I can see using this very easily for business. Marking up documents or, particularly, graphics. And for tech support (like a one-off ScreenCastsOnline tutorial) for a family member or friend that needs to know something specific. Like how to access all of their hardware and software information or their computer’s serial number. This would fill the bill. This is really a tool that could be very well be indispensable in your bag of tricks. This entry was posted on Wednesday, February 12th, 2014 at 9:18 pm	and tagged with Apple software, Frank Petrie, Mac software, reviews, software, Utilities, YMPNow and posted in Reviews. You can follow any responses to this entry through the RSS 2.0 feed. Did I wait long enough to reply?